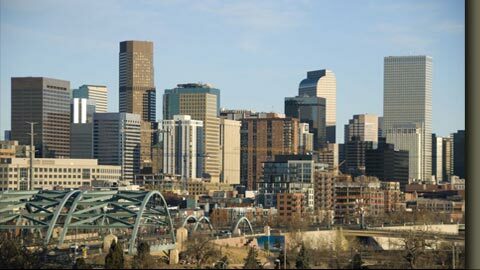 Denver metro area highways and roadways throughout Colorado carry millions of vehicles every day. Large commercial truck drivers and the companies that own and insure the vehicles, drivers and cargo share a responsibility for the safety of all vehicles sharing the road. In a serious truck accident, size and weight differences can result in catastrophic injury and death for drivers and passengers in cars, small trucks, SUVs, and for motorcycle riders. It is important that you know what to do in the event of a trucking accident. For over 30 years the Law Firm of Saul R. Sarney has represented victims and their families facing injuries or the loss of a loved one in truck crashes and other personal injury accidents. We work to provide experienced legal representation with the personal attention every client deserves. Call us at 303-759-3300 or contact us online for a no-cost consultation. The physical damage suffered by passengers and vehicles in a truck accident is typically far more severe than in many other motor vehicle accidents. Traumatic brain injury, paralyzing spinal cord injury, burns and amputations can change the lives of victims forever. 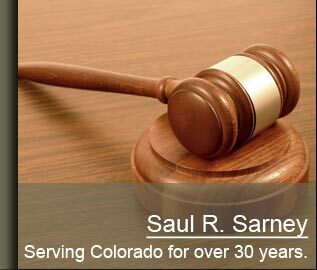 Denver Truck Accident Attorney Saul R. Sarney works with medical experts and life care planners to help ensure clients recover fair compensation for their injuries and the impact on their lives. When you are injured in a truck accident, or suffer the accidental death of a loved one, we can help. The Law Firm of Saul R. Sarney will thoroughly prepare your case, deal with insurance companies, and work to obtain the compensation you need to recover from your injuries as quickly as possible.